Taylor Swift is known for her high-profile relationships, while very little is known about his private life. But that looks all set to change for Ed Sheeran following reports that he is now dating the pop superstar. The couple are believed to have had a secret relationship last spring, before breaking it off to focus on their careers. But they have rekindled their romance in recent weeks. US singer Taylor, 23, and the English musician became close again following her split from One Direction's Harry Styles, one of Ed's friends. They reportedly spent the night together before last month's Brit Awards, with 22-year-old Ed spotted leaving her hotel at 4am. And it looks like they are going to be spending plenty more time together over the coming months; Ed is one of the openings acts on Taylor's Red Tour in North America, which runs from March until November. He famously collaborated with her on the Red studio album, and even got a tattoo inspired by the record's title. Taylor later raved about the inking, calling it "the coolest thing ever". Last year, Ed said couldn't see romance on the cards for him and Taylor. "We had great fun when we met, but I don't think I'm Taylor's type," he said. "If you look at all the dudes she's dated, they're all tall, brown hair, brown eyes, very attractive and all the girls scream for them. I'm chubby, ginger with blue eyes." 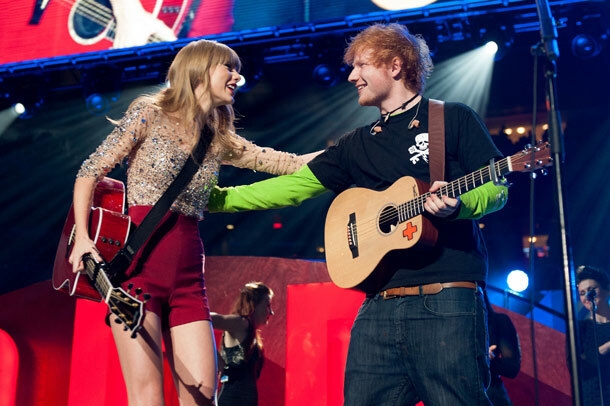 Nevertheless, Taylor has previously described Ed as "one of my favorite human beings on the planet". 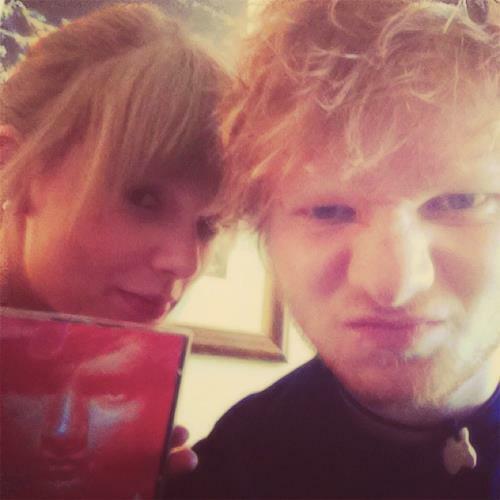 "Taylor made it clear when they go off on tour she wants Ed to be her boyfriend," a source told the Sun. "He's thrilled as he has always thought she's amazing. When they split last year he always hoped they would get back together. They've vowed not to have a nasty break-up, no matter that happens."